Backup Your Files to Avoid Costly Data Recovery Each year, many individuals and Brisbane businesses alike lose important files as a result of hard drive failure. The Best Antivirus Software For PC A Computer Technicians' Perspective We've Tested & Compared The Best Antivirus Software For PC & Mac. We will try to guide you as best as we can. So What Are The Methods Of Recovering Data? Data Recovery depends on type of data loss. Below in this article the many available methods of recovering data. You Have More Questions? Call us NOW! Where can I backup my files? What software can I use to perform the backup? External Hard Drives: These devices are quite handy, portable, and can fit almost anyone’s budget. The capacity of these hard drives varies and is dependent on the amount of data that you want to backup. You can buy drives that have many gigabytes or terabytes of space. 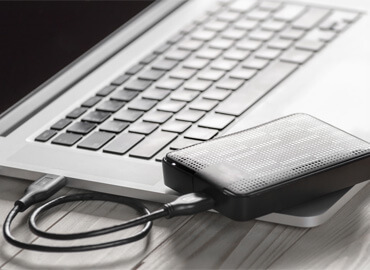 When backing up videos and photos, you may consider buying larger capacity external hard drives. If you are backing up documents and text files, smaller capacity drives should be good enough. The best way to know the size drive that you are going to need to is by checking the combined size of all the files you intend on backing up. That way, you can purchase an external hard drive that is a little larger in capacity than what you really need, just to be on the safe side. The most popular and robust external hard drives are made by companies like Seagate, Western Digital, and Toshiba. Those persons who prefer to have their backups onsite on devices other than external hard drives have the option of installing personal servers to store their backed up files. The concept is similar to a cloud backup solution, with the main difference being that the server is located where you are. You can either build your own server if you are technologically savvy or purchase one from your local computer store. The capacity of the internal hard drives of the server must be equal to or, better yet, greater than the size of the files that you intending on backing up. You must always keep in mind the possible need for hard drive space expansion as time goes by since the amount of files that you want to backup usually increases. NTI Backup Now 6 - Created by MSRP, this robust program provides File and Folder Backup, Full Disk Backups, Continuous Backups, and Version Saving. StorageCraft ShadowProtect 5 Desktop - Also a creation of MSRP, it provides Full Disk Backups, Continuous Backups, Version Saving, and Recreates Disk Image on New Hardware. Paragon Backup & Recovery 16 - The brainchild of Paragon Software Group, this software provides File and Folder Backup, Full Disk Backups, Version Saving, and Recreates Disk Image on New Hardware. Acronis True Image - Acronis created this program to provide File and Folder Backup, Full Disk Backups, Continuous Backups, Version Saving, and Recreates Disk Image on New Hardware. Genie Timeline Home - This Genie-Soft program provides File and Folder Backup, Continuous Backups, Version Saving, and Explorer Integration. Each software comes with help files that teach you how to use them. While some softwares are easier to use than others, in the end, you will have a backup of the files that are important to you. There are lots of other software and backup solutions are available. If you are still unsure about what to do, please contact us, we will be more than happy to help you. The Terdot banking Trojan, which is built on the ancient Zeus framework, has made a big comeback. It now tries to hijack your Facebook and Twitter accounts, read your emails and steal your credit-card numbers, as well as plunder your online bank account. ADVICE: Install and run Windows antivirus software, and avoid opening attachments in emails you don't expect. The Google Play app store has been full of malicious apps lately, with four different security firms finding four different strains of malware in a single week. Google clearly isn't doing enough to screen Android apps. ADVICE: Install and run a trustworthy Android antivirus app. A new banking Trojan combines web redirection attacks, which take you to fake banking sites, with browser overlays, which puts malicious content atop legitimate web pages. ADVICE: Install and run Windows antivirus software, and dedicate a web browser to strictly online banking and shopping. As technology advances, the locations where data files can be backed up have become diverse. 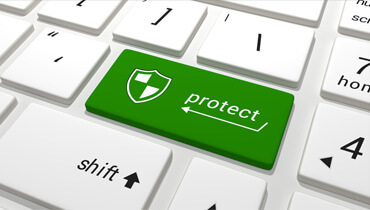 Many people have now come to appreciate the value of the following backup locations:Most antivirus makers have three or four tiers of Windows products, with each price bump adding extra features, such as parental controls or cloud backups. But because each company uses a single malware-detection engine for all its Windows antivirus software, the cheapest item — even a free one — in any product line usually finds malware just as thoroughly as the priciest. Basic or Entry-Level Windows Antivirus: The least-expensive paid Windows antivirus products, which generally list from £20 to £30 per year depending on the number of PCs covered, have the essentials. Definition updates and scans are automatic; websites and email attachments are screened, and the products are mostly easy to use. Some basic AV programs toss in extra features, such as file shredders or system optimizers, that are normally found in pricier products. Not only does Bitdefender Antivirus Plus have nearly perfect malware-detection scores, but it also offers great value, with a strong selection of extra tools. You'll find a built-in password manager, a secure browser, unique protection against encrypting ransomware and automatic profiles that optimize Bitdefender's impact on your system, depending on whether you're working, watching a movie or playing a game. Midpriced Windows Antivirus: These products usually list from £30 to £50 per year. They generally build on the basic packages by bundling in parental controls and a two-way firewall to catch outgoing data, although many add other features. But for the full feature set each brand offers, you'll have to pony up for the premium products. Kaspersky takes first place among midrange antivirus software products, thanks to its excellent malware protection, a moderate system load and a full assortment of extra features and tools. Kaspersky Internet Security includes a secure browser, a virtual keyboard, specialized protection against ransomware, webcam protection to shield your privacy from spies and creeps, and, uniquely, a virtual private network that automatically switches on when you connect to an unsafe Wi-Fi network. Premium Windows Antivirus: Top-tier packages are often called suites because they do much more than catch malware. They might also offer file encryption, secure online storage, a password manager or an ad blocker. As most suites cover multiple devices, they also frequently bundle in licenses for Mac and Android antivirus software. For all this, you're meant to pay between £60 and £80 per year — but as with all paid antivirus software, steep discounts can often be found online. Kaspersky Total Security has it all for those who are looking for more than just excellent malware detection. This one rose to the top because it eliminates threats without generating many annoying false positives. We also like the included secure browser, which is ideal for online banking and shopping. Other highlights include a seriously secure file shredder, Windows backup and recovery software and even webcam protection. Free Windows Antivirus: Free Windows antivirus products usually offer only bare-bones protection. Malware updates and scans must often be manually initiated, and there is seldom any protection against malicious websites or email attachments. We can recommend some free Windows antivirus software, but please don't rely on Microsoft's own products, Windows Defender (for Windows 8, 8.1 and 10) and Microsoft Security Essentials (for Windows XP, Vista and 7). Those two products are getting better, but for now, they simply don't stop enough malware. Free Windows antivirus products can't match paid protection, but Avira Free Antivirus comes close. It detects malware as effectively as most paid products do, and also has child protection and a scan scheduler. (However, it doesn't scan email attachments or web links.) Best of all, Avira doesn't constantly nag you to upgrade to its paid version. Data recovery is the process of retrieving or salvaging pieces of data from a disk drive or any other type of storage media when data can no longer be accessible using customary methods. Often times, these files are being stored in hard drives and removable disks, including CDs, DVDs, tape cartridges, flash memories and the like. The approach of recovering files may be considered necessary because of the damaged or corrupted storage media. Sometimes, the storage device itself receives physical dents and breakage that renders it unusable. Hard disks may crash due to mechanical failures or infestation of unwanted virus; mere scratches on CDs and DVDs can give rise to data reading problems ; and as for the tapes, these can be broken easily. However, data recovery is not limited to fixing storage related failures. Accidental deletion and forgotten passwords are a couple of the non-failure related causes that may also bring forth the necessity of data recovery. More often than not, end users cannot promptly identify the solution for a damaged storage system. This is due to the fact that not all users possess the technical expertise essential to assess and address the problem. For example, users may experience their screens going blank. They reboot their computers only to find out that no hard drive can be found. With the goal of recognizing the problem, they take out the hard disk and do some self repair that may expose the hard disk to further damage. Even with professionals willing to deliver accurate services, users tend to do the repairs themselves by applying unusual schemes like removing the hard disk and placing it in the freezer with the purpose of unsticking the jammed platter. Most specialists maintain that doing this will promote more harm than good. The need for expertise on data recovery is an imperative component in the computer industry. Data recovery firms make use of various methods to salvage any and every data to restore very important files or to make the electronic device function properly. One of these methods is using class 100 cleanroom facilities or controlled environment to minimize damage or corruption that may be brought by the ambient air. The use of these specialize rooms aims to protect the storage media while recovery is being made. 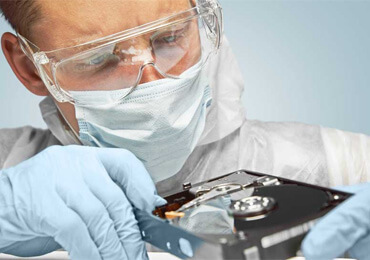 Data recovery can be done utilizing different techniques. Physical damage may be dealt with by replacing old parts. The PCB or Printed Circuit Board can be replaced with the same model to "restore circuit life". This should be done carefully by professionals using the proper tools in opening the hard disk. The market offers a line of specialty pieces that aspires to directly read hard drive platters or the component wherein the data is actually stored. The "read and write" head can also be replaced or "swapped" with a new one. Sometimes the power lines get busted or some loose contact is apparent, here an accurate re-soldering job is needed. The price quotation for this recovery service depends heavily on the type of storage medium and the amount of data that needs to be retrieved. The process of repairing physical damages may allow the user to use the hard disk, though it may not be sufficient for the computer to run in its entirety since Logical damage may be still be present. Logical damage means that the system or storage may be corrupted due to unintentional partition, accidental formatting and deletions, power failure, virus attacks or memory overflow. All of these may lead to system irregularities, crashes, and even further data loss. Sometimes, these types of errors can be rectified by using a data recovery software. An end-user may opt to download software over the internet, although there are no guaranteed results. Some programs may even cause complete data loss. While shareware and freeware programs are offered to the public with the right intention, there is no assurance that it will actually fix the problem. Mostly, the service of a data recovery firm is better as compared to off-the-shelf software. As for accidental deletions, hard disk recovery is feasible because of data remanence, meaning part and parcel of the data still remains in the hard drive even though it has been deleted by the user. However, the unknowledgeable user could effortlessly and unconsciously create further data loss instead. Data recovery may prove to be too complicated particularly when such damage involves overwriting of the lost data. Access the hard drive directly instead of being dependent to the Operating System as set by its BIOS configuration. Reading the Bad Sector instead of skipping it. Overriding resetting / restarting command when reading the disk. The imaging technique specializes on getting what can be "read" on the entire disk by avoiding any command that will restart the process once an error is detected, after this data reconstruction follows. The best way to address data loss is to prevent it from occurring in the first place. Data backup permits the user to restore any file or data if ever logical or physical damage occurs. Most computers possess inherent tools which will allow a system roll back, signifying that the system will return to its last known working configuration. This connotes that the only data projected to be lost are those recently stored at the moment of system or data failure. This option can also be used when an unacquainted user inadvertently changes the system setting, resulting to various consequences, all leading to an inevitable crash. For the system restore to be functional, it should contain quite a few consistent backup systems to ensure that the data is stored properly. Investing in a program intended to block unwelcome bugs and incompatible software programs will diminish the risk of data loss. Hard disk drive defragmenting is recommended once every six to twelve months, depending on the amount of software installed and the time used on working files. External protection must also be observed. Hard disk drives are sensitive. If a speck of dust is able to make its way into the hard disk, the results may prove fatal. This is due to the fact that this dirt particle is moderately larger than that of the distance between the read and write head and the platter located in the hard disk. (The platter has two surfaces; each surface is read and written by a lone head hovering on top of it.) A single particle will likely obstruct any attempt of repair or recovery. Furthermore, hard drives must be protected against extreme temperature and heat. While electricity fluctuations or power spikes can be handled by utilizing a surge protector. Not all data can be recovered. There may be cases where it is impossible to repair or retrieve any data because of the severe damage obtained by the hard disk, particularly the platter. However, most firms pose an outstanding success rate with regards to recovering lost or damaged data.